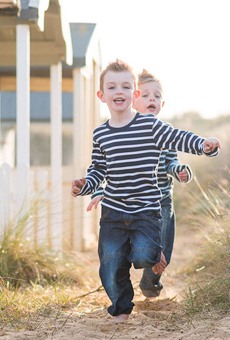 I often produce portraits of families but on occasion I’m also asked to produce portraits of couples and individuals. 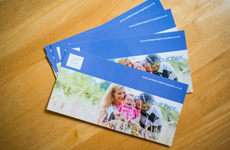 In this case my client was a student at the University of East Anglia or the UEA as it’s also known, a University I hold close to my heart as almost sixteen years ago I passed out of the place with a degree in English Literature and Philosophy. I was asked to produce some portrait photographs of the young man concerned to be given to his grandfather on a significant birthday. 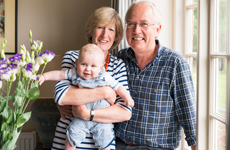 It turns out that his grandfather is a landscape architect who had some dealings with the design of UEA’s campus, so an outdoor portrait photography session made for the ideal opportunity to photograph his student grandson in the actual landscape he had designed. We started in Earlham Park, a beautiful park on the edge of the UEA which hosts huge national music events, and the biggest fireworks display in Norwich each year. With winter being in full swing it was harder than usual to find lovely backdrops for the portraits but I was still struck by some of the great scenery in the parks landscape particularly Earlham Hall, which seems to have undergone a beautiful facelift since I left the UEA. 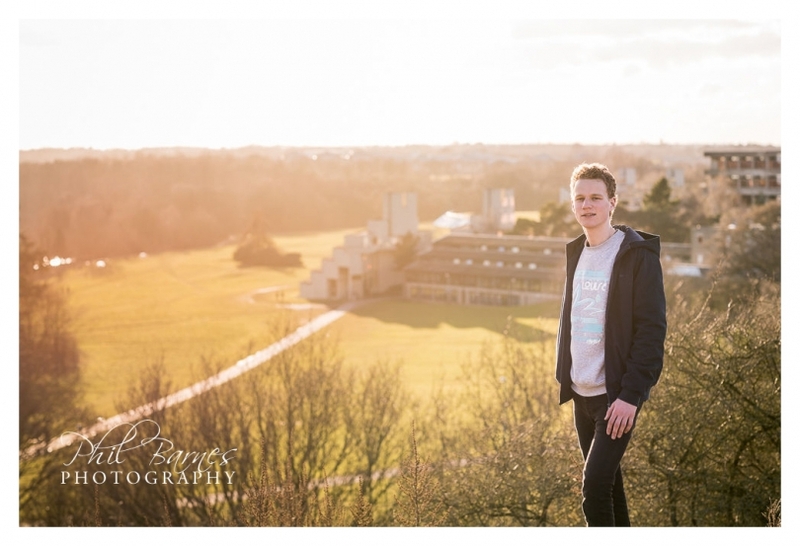 We then moved on past the wonderfully iconic Sainsbury’s centre to the UEA broad area where we took some photographs in the woodland, in front of the now famous Ziggurats, and of course the broad itself. A quick hike to the top of “the prospect” a man-made hill designed by said grandfather’s company and we had a great panoramic view of the UEA campus and the setting sun. 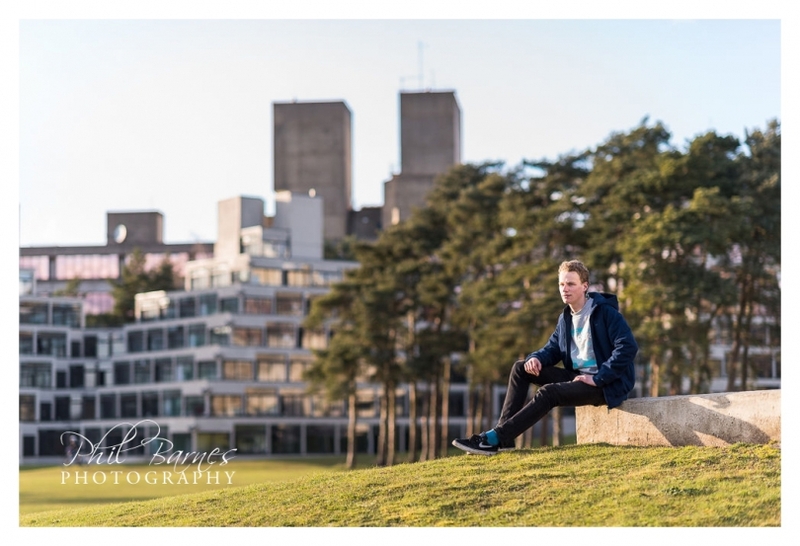 We then did a few more quick portraits before the sun finally deserted us for the evening on the raised walkway which is another great feature of the campus architecture. It was a lovely outdoor portrait photography shoot. 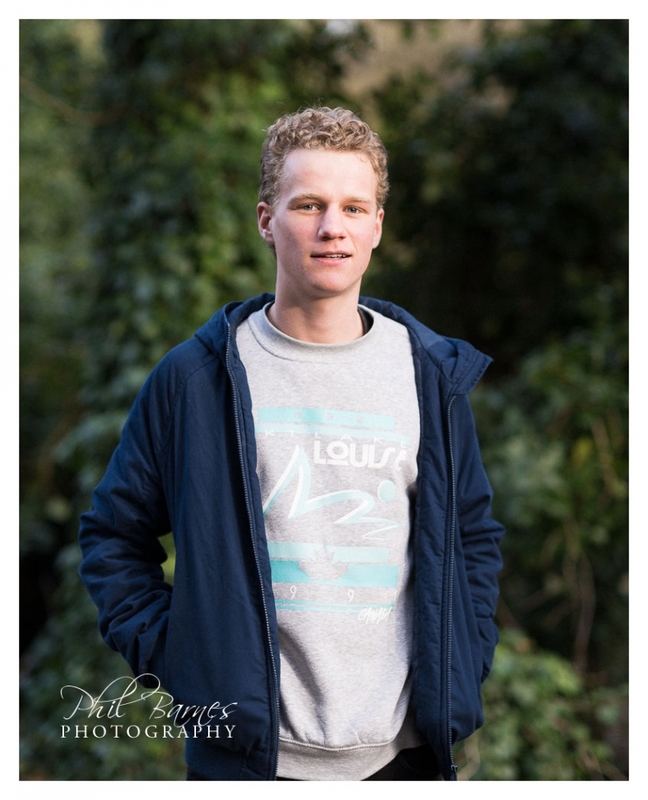 Great to chat about University life with a student in his third year, and even better to see front of camera confidence grow throughout a relaxed portrait session.